The Miners used the long ball and a massive amount of hits to beat up River City tonight 15-7.. Ralph Santana hit a opposite field home run for his 2nd of the year. Also Scott Simon hit a center field 3-run home run a mile to give him 6 RBIs for the night.. Willie Keene had 2 doubles tonight, This guy can play. Way to go Coach Pinto, you get a HIGH 5 Sir. The Miners come back home Saturday night to face off again vs River City. The Miners had a new right fielder Wednesday in rookie Eric Suttle, a recent Georgia State University product brought to Pinto's attention by scouts in the Chicago White Sox organization. Suttle batted .343 with 24 RBI as a senior, striking out just 15 times in 181 at-bats. He introduced himself with a nice running catch that earned him the "Defensive Player of the Game" honor on the stadium video board, an honor given out before the ninth inning started. ... With Suttle batting eighth in the lineup, Willie Keene was moved into the designated hitter's spot as Simon played first base for a second straight night. ... At least one person wasn't impressed with Scanzano's amazing play in the ninth. "He took a routine play and made it look spectacular like he does all the time," Hall said. "Sometimes pretty looks a little more pretty than it needs to. His overall lack of athleticism makes him have to make plays like that." This opinion drew an immediate reaction from Scanzano and a full-blown mock argument developed. "They're constantly ribbing each other so that doesn't surprise me," Pinto said. Thank you Justin Walker from the Marion Daily for the Information. Pick up your copy of the Marion Daily for more Information on this and many other Miners Events. Attendance 4,861 great, dedicated fans. The Miners won tonight 2-1 vs the Evansville Otters. Ryan Kane hit his 1st Home run of the season and Travis Hope (A Marion native) came in to save the game for Nick who is now 3-1...Way to go Miners.. In related news Tim Dorn went 1-4 with 3 strike outs for the Swing of the Quad cities tonight. His 1st hit for the Swing. Way to go Tim. After a rain soaked afternoon the Southern IL Miners without 1B Tim Dorn for the first time, lost tonight 7-0. Wooley had some decent pitching tonight but he cant pitch forever. We need to gather ourselves and win tomorrow. The loss puts us at 18-15 overall. Lets go Miners! Swing of the Quad Cities wins! Tim Dorn's new team The Swing won tonight 5-4, Tim walked twice, struck out once, grounded out once and scored 1 run. Not bad for game one, he also showed his defense with a great knock down of a bullet right at him. Way to go Tim. This is Tim's New team and website so we can track how he does in Davenport for the Crappys, I mean Cardinals, I'm a Cubs fan by the way. But I will support Tim Dorn without question..Go Swing. St Louis Cardinals "A" team. Currently 2-3 on the season. Confirmed reports! Tim Dorn is leaving us! Tim Dorn was signed Sunday by the St. Louis Cardinals Miner League team. They gave Dorn a Cardinals hat in the 8th Innings of Sundays game to announce his leaving. I just want to say good Luck to you Tim and I wish you the best. Southern IL will miss you. This is exactly what this league is for, a chance to go to the bigs. Dorn, who leaves the Frontier League and the Miners tops in home runs with 12, heads to the Cardinals Midwest League affiliate, the Swing of the Quad Cities, with a five game hit streak, a batting average of .349 and 35 RBI. The Miners first baseman is relishing his opportunity with the Cardinals. "I appreciate another opportunity to get a chance with a Major League team. This has been something I have worked for and would like to thank those who have helped me take this step." Southern Illinois manager Mike Pinto called the opportunity a happy day for all involved saying, "I as a manager and we as an organization couldn't be more thrilled for Tim." The Miners won again to bring their overall record up tp 18-14. 2nd place behind the Gateway Grizzles. Chris Hall now has a 21 game hit streak, way to go Chris. The Miners are now 17-14 overall after beating Slippery Rock, again, 5-4 Sat. night at Rent One Park. The Miners will play SR on Sunday at 2:05 p.m. at Rent One Park. So, how do we find our players? Professional scouts! Mike Pinto was a Professional scout in Kansas City prior to coming to the Miners. His contacts from other professional scouts via phone and email are how he gets help finding players. I asked Mike how he went about scouting players, he said "My cell phone is on fire and emails pour in telling me about the next great player, or that player we have to have, or should get. I've got contacts all over who keep me in the loop as to players that would be great for the team, I am the whole scouting department for the team, I do the work." As we can see he's not afraid to cut a player that's not up to par. Mike Pinto, the first manager for the Southern Illinois Miners, comes to the team after spending two years at the helm of the Sioux Falls Canaries of the American Association. Prior to managing the Sioux Falls franchise, Pinto spent three seasons with the Joliet Jackhammers (2002-2004) of the independent Northern League in various coaching capacities. In addition to his managerial experience with the Canaries he also served as the head coach of Oakton Community College for two seasons (2003-2004). During his time with the Sioux Falls Canaries, Pinto had the pleasure to work with several players such as Chad Hermansen and Ralph Santana who would finish the season in the top 10 in various statistical categories. Under the tutelage of Pinto, former major leaguer Hermansen finished the 2006 season as the league leader in slugging (.579) and extra-base hits (57), while Santana would go on to finish third in the league with 40 stolen bases. As head coach of Oakton Community College, Pinto set several records including most wins (41) and lowest team ERA (1.99) in a season while winning the Skyway Conference Tournament championship and the Region IV Sectional Championship in 2003. In the 2004 season Pinto was responsible for coaching his squad to a second straight sectional championship and advancing to the Region IV championships in Moline, Iowa. In addition to coaching, Pinto played center field on four national championship senior league baseball teams. He played alongside former major league players Jose Cardenal of the St. Louis Cardinals. Signed OF Willie Keene, SS Bryant Perdomo, and 1B Scott Simon; reinstated LHP Chris Tierney from the Injured Reserve List; released RHP Roy Irle and RHP Josh Ward. The miners won 14-7 tonight to Improve to 16-14 overall, 2nd place in the division 5 games behind Gateway. Chris Hall now has a 16 game hit streak. Willie Keene had a 3-run homer over the left field wall, Willie looks like he'll be a great hitter. The Miners added Hummel and Kevin Koski (From SIU). Kevin had 2 RBI's and a good night overall. The Miners have won 4 series in a row, and look to extend that streak to 5. Kip Pridgeon has some nice speed on his fastball hitting 91 mph more than once. 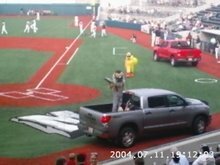 A record was set at Rent One Park with a total attendance of 6501, surpassing the previous record set on opening night of 6300 ish..Way to go Southern IL. Jose Torres has been traded to San Angelo for future considerations. Eric Vega has been released to make room for our new adds. The Miners played hard but came up short. Down 10-4 going into the 9th scored 3 runs to scare Wash one last time, Before heading home to play a 3 game set vs Slippery Rock. 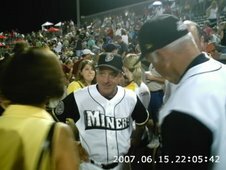 WASHINGTON, Pa. - In a season of firsts, both big and small, for the Southern Illinois Miners, this is one milestone worth noting.The Miners swept a doubleheader from the Washington Wild Things on Wednesday at CONSOL Energy Park to move above the .500 mark for the first time in their young history. Miners win 2 in PA.
After being rained out the day before, the miners came out and took 2 from Wash 6-1 in game 1 and 4-3 in game 2. Keene and Dorn both homered, one in each game, Keene's being a Grand slam and Dorn's being a 3-run shot in game 2. The Miners continue the set in PA. on Thursday and then home on Friday night against Slippery Rock. Miners Rained out in PA.
Miners were rained out Tuesday and will be playing a doubleheader Wednesday starting at 5:05 pm. The Miners are on a 4 game winning streak and 8 out of the last 10. A friend contacted the commissioner regarding the all star game. I know there have been some questions, and now we have some answers. The teams will be determined an a east-west format, with Rockford and Windy City players joining the West Division team and Kalamazoo and Traverse City players joining the East Division teams. I don’t know if the teams will be called “East” and “West”. It’s possible the host Florence Freedom may have found a sponsor. 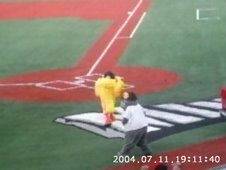 When the Rascals hosted the game in 2004 the teams were “Pepsi” and “Mountain Dew”. Similarly, when the Missouri River Otters hosted the United Hockey League all star game the teams were “Gatorade” and “Aquafina”. I’ve heard of it in other instances too. The all star game will NOT determine home field advantage for the playoffs. I would assume then that the team with the best record would get the advantage. Are you listening, Bud Selig? Thank you go-rascals for the story. Southern Illinois made several roster moves Monday, bringing two new players on board while saying goodbye to two others.Jon Qualls, the Miners' starting pitcher on Monday, was activated earlier in the day off the retired list. To make room for him, Southern Illinois released relief pitcher Josh Ward. The Miners also traded reserve infielder Ray Navarro to the Sioux City Explorers, a Northern League team, for future considerations.To fill Navarro's spot, Southern Illinois signed infielder Bryant Perdomo, who last played with the Golden Baseball League's St. George RoadRunners. MARION - The setting was all-too familiar for the Southern Illinois Miners: Tenth inning, bases loaded, one out, Tim Dorn at the plate.One day beforehand, Dorn faced this exact situation, and delivered with a game-winning, two-run single. Monday night, he took a slightly different approach, but came up just as big. With the score tied and the winning run 90 feet away, Dorn leaned his left arm into a fastball from Slippery Rock's Matt Keller. The hit by pitch forced Miners shortstop Mike Scanzano home, giving Southern Illinois a 2-1 win, and a series sweep, over the Sliders at Rent One Park. "That's Tim's role, to end games like that," Miners catcher Rob Wirth said. "That's why he's here, for situations like that, when runners are in scoring position. That's his job, and he does a darn good job of it. "Sliders reliever Jon Tapper hit Scanzano to start the 10th. After second baseman Ralph Santana sacrificed Scanzano to second base, pinch hitter Jose Torres was walked and Wirth hit a single into left field, loading the bases and forcing Tapper out of the game.Keller's first pitch to the 6-foot-8 Dorn was high and inside, but Dorn leaned away from it. "One of his teammates was yelling, 'You've got to wear that! '," Miners manager Mike Pinto said.Apparently, Dorn heard the advice. The second pitch was thrown to nearly the exact same spot, and this time, Dorn took one for the team, picking up his 28th RBI in an unconventional way and sending the 4,337 fans home happy for a fourth straight game.Dorn coming through in the clutch was certainly no surprise to the Miners - he's done it time and time again. But the players who let Southern Illinois get to extra innings certainly weren't the usual suspects.Starting pitcher Jon Qualls, activated off the retired list earlier in the day, was brilliant. A submarine-style, off-speed throwing pitcher who throws his fastball no harder than 80 miles per hour, Qualls kept the Sliders off-balance all night long. His curveball, which was measured several times on the Rent One radar gun at 60 mph and slower, consistently fooled and frustrated Slippery Rock.Qualls threw eight innings - the longest start by any Miners pitcher - allowing just one unearned run and four hits. He struck out two batters and did not allow a walk. "He was absolutely tremendous," said Pinto, who added that the stadium's radar gun shows pitches several mph slower than they actually are. "He was every bit of what I was told he was. "Brian Wilburn relieved Qualls to start the ninth inning and threw 12/3 innings of scoreless relief, and Travis Hope got the final out of the 10th to pick up his second win.But it was a new outfielder that gave the Miners their biggest boost. Sliders starter Zac Cline had shut down Southern Illinois for six innings, and Slippery Rock entered the seventh with a 1-0 lead. Leading off the seventh, left fielder Willie Keene, who was signed by Southern Illinois Sunday, worked the count to 2-2 before fouling off eight consecutive pitches.After taking a ball to make the count full, Keene fouled off one more pitch before lining a triple into the left-center field gap for his first professional hit. Keene scored two batters later on a double play from Scanzano, tying the game. "That's one of the best feelings I've ever had in my life," Keene said of his triple. "I was just trying to do whatever I could to get something started, get on base anyway I could. "With the win, the Miners (13-13) are at .500 for the first time since the season began. 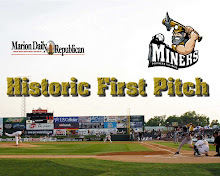 Considering they began the season 3-9, getting back to even so quickly is something the first-year franchise certainly believes it can build on.Especially if Dorn and the Miners keep finding new ways to win extra-inning games. "We're just going to never quit," Wirth said. "That's what this team does - never give up. If we continue to do that, we're going to be successful." The Miners won tonight 2-1, it was 1-1 going into the 10th, with the bases loaded, and Tim Dorn up to bat, they hit Dorn and we won on a HBP rbi in the bottom of the 10th to extend our winning streak to 4 games in a row, and we've won 8 out of the last 10 games. 1/4 the way into our 1st season! The Miners were down 2-0 in the 7th, tied it in the 9th 2-2 and won it in the 10th 4-3. The Miners came from behind and held the lead. That's teamwork, that's how its suppose to go. The Miners play SR again Monday night to finish this set and then travel to Wash for a 3-game set. The Miners are now 12-13 overall, and playing like a winning team.. Go Miners! MARION - At 6-foot-8, 255 pounds, Tim Dorn can clearly put a lot of strength and muscle into his swings. But that doesn't stop his teammates' jaws from hitting the ground when the Southern Illinois Miners' first baseman gets a hold of a pitch. And Dorn got a hold of plenty Saturday night. "My first reaction is to just go, 'Wow,'" Southern Illinois designated hitter Mike Victor said. "Those balls he hits are just unbelievable. When he makes contact, all you can say is, 'Wow.'" Dorn hit two mammoth home runs Saturday, both to straightaway centerfield, putting the exclamation points on the Miners' 16-7 win over the Slippery Rock Sliders. It was the first multi-homer game for any Southern Illinois player, and the most runs scored by the Miners in one game. Southern Illinois (11-13) was in control of the game from the fourth inning on, but it was Dorn's blasts that will likely linger in the memories of the 5,478 fans at Rent One Park. His first homer, a two-run blast in the fifth inning, went directly over the 400-foot marker on the centerfield fence. In his next at-bat, two innings later, Dorn repeated the feat with another towering two-run homer to center. Dorn's final home run lifted the Miners' lead to 15-6 and lifted his Frontier League-leading homer total to 11. "I can't describe that feeling," Dorn said. "It's one of the better feelings in the world. Just hearing the ball off the bat like that, and you just watch it go - I can't describe it." While Dorn's blasts were impressive, they were far from the only offense the Miners had against the Frontier League's other expansion team. Nursing a 3-0 lead after three innings, Southern Illinois exploded in the fourth -with a little help from the Sliders. Slippery Rock pitchers walked three hitters, beaned another, and shortstop Phil Butch committed a key throwing error. Thanks to those miscues, the Miners needed just three hits to put the game away. Two of those hits, run-scoring singles from Jose Torres and Ryan Kane, put the finishing touches on a seven-run inning and boosted the Miners' lead to 10-0. 'We were fortunate to be able to open it up and take advantage of a couple mistakes," Miners manager Mike Pinto said. "And that's certainly a good thing." That cushion was more than enough for starting pitcher Nick Tisone, who stumbled after a brilliant start. Through four innings, Tisone had allowed just one baserunner, on an infield single. After the Miners' big inning, though, he struggled. Tisone allowed eight hits and six runs during the next two innings, as the Sliders pulled within 12-6. But relievers Josh Ward and Brian Blomquist allowed just one run in 3-1/3 innings of relief to finish the win. "I think it's tough for a pitcher with a 10-run lead to maintain focus.," Pinto said. "That's kind of what Nick went through. All of a sudden, you're trying to change how you're pitching instead of doing what you were doing before, and he was throwing a great game until then." Tisone wasn't the only one who may have lost a little focus in the middle stages of the game. Victor admitted it's difficult to stay locked in when a game's outcome already seems decided. Of course, finding ways to keep that focus after building a 10-run cushion is a problem the Miners certainly don't mind having. Miners Win HUGE with Homerun Derby! Miners came out and layed "The Smackdown" on Slippery Rock 16-7. Tim Dorn hit 2 Mammoth home runs to straight away center field that are still flying, somewhere. Chris Hall had 3 RBI's, Dorn had 2 hrs and 5 RBI's as the Miners stomped a mudhole into the rockers from Slippery Rock. The Miners opened it up in the 4th with 7 runs, as Tisone pitched his way to another win. 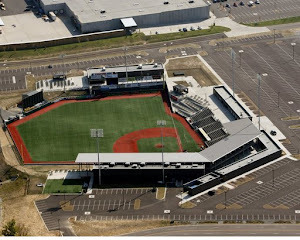 The Miners continue play Sunday afternoon at 2:05 against Slippery Rock at Rent One Park in Marion IL. 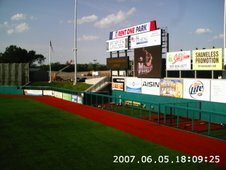 The Frontier League, based in Troy, Illinois, is a professional, independent baseball organization located in the Midwestern United States and Western Pennsylvania. 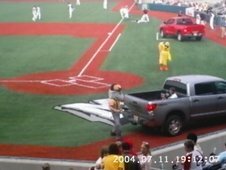 It operates mostly in cities not served by Major or Minor League Baseball teams and is not affiliated with either. Though not part of the official minor league system, its level of play is considered about equal to A-level. The league was formed in 1993. The Frontier League exists so that professional baseball players who are not signed by a Major or Minor League organization could have another chance at playing at a higher level. Although the level of Frontier League play can be categorized at the single A standard, players in independent baseball are usually not scouted heavily by Major League teams. Many Major League alumni have played for Frontier League teams in an effort get back to the Majors. The league also caters to players who are not quite talented enough to play at a higher level. Teams in the Frontier League must recruit and sign their own players, which usually consist of undrafted college players or one-time prospects who have been released by their teams. 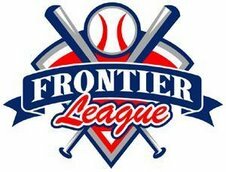 Frontier League rules limit teams to three "veterans" (those with three or more years of professional experience), two two-year players and seven one-year players (those with at least 150 professional at-bats or 50 innings pitched). The other half of the 24-man roster is confined to rookies. Players cannot be older than 27 as of Jan. 1. Pay in the Frontier League is minimal, as each team has a salary cap of $60,000 and the league minimum is set at $600 per month. Due to the low pay, players typically live with host families. Miners Shutout the Wild Things tonight in front of almost 6,000 people. Great pitching and some top 10 ESPN worthy defense by Santana helped keep Wash. scoreless and confused the whole game.. Jose Torres had a great play in the field but the runner was called safe. And some lady was in love with him, lol. Pinto said after the game "All I want is consistency, with consistency comes wins, we got that tonight".. After the game they let us all on the field, which by the way is very cool, for the fireworks display, which was also very cool. It was like the 4th of July in June. The commissioner of Frontier League Baseball Bill Lee was in attendance tonight and had to be pleased with what he saw. He was not available for comment. All around it was a very good game, fantastic fans and a great show, If you've not been to Rent One Park yet, take the family and have a fun filled evening. Some gripes would be, I don’t understand how they choose winners for the Best Seat in the house and other contest, It seems they give it to the prettiest girl or guy and go on. I also think the Clothing and Hats are way to high in price. $23.00 - $25.00 for a hat? Don’t drain us Southern IL. workers in the first year, take it all over the next 5 or so. I would love a hat, but I cant see paying $25.00 for one. But, 4-8$ for tickets is a very good price, don’t get me wrong. Then you throw $2.00 parking at us. Well anyways, its a great show, and a Improving team. Pinto has them on the right track. Southern IL is now 10-13 overall, winning 4 of the last 6. 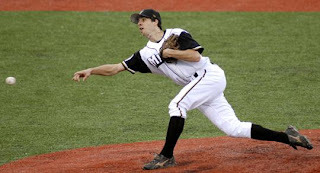 Southern IL plays slippery Rock, (who just had a player sign with the St. Louis Cardinals) Sat. night at Rent One Park. Go miners. 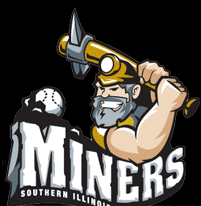 The Southern Illinois Miners are a minor league baseball team based in Marion, Illinois. 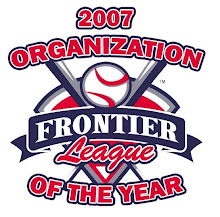 The team is a member of the independent Frontier League. Players are able to sign with MLB organizations throughout the Frontier League season. 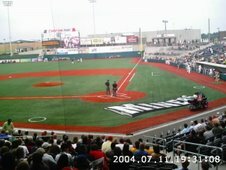 The team was founded in 2006 and plays at Rent One ballpark. The Miners lost a Pitchers duel 2-1 Thursday night in front of a sold out crowd. The Wild things play one more in Marion Friday night to complete the set. O'FALLON, Mo. 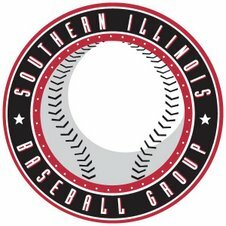 - Given their improved play over the past four days, the Southern Illinois Miners won't feel uncomfortable unpacking for this week's homestand. That wasn't the case before the Miners arrived at T.R. Hughes Ballpark four days ago. Manager Mike Pinto promised wholesale changes if performances didn't improve. Pinto made it clear his statements were not idle threats. "I did unpeel the paint off the walls in Evansville last week," Pinto said. "There were a lot of rumors going around of what was said, and they're all probably true. I was probably loud enough they could hear it outside the clubhouse. "I was just tired of seeing that kind of baseball. I wasn't going to continue to put up with it. I just wanted the message to be clear we had a higher standard. It's what I'm going to get one way or the other." For whatever reason, the message came through loud and clear. Not only did the Miners respond with their first winning streak longer than two games, but they came from behind, protected leads and played more aggressively than they had earlier in the season. "We weren't throwing strikes," Pinto said. "We weren't taking advantage of opportunities. We've got guys on, we weren't moving them over. We'd have guys on second and third and were taking called third strikes, things I just wasn't going to keep on watching." The Miners' manager made it clear it wasn't necessarily a lack of effort. "That will be enough and we'll win baseball games. I have a career .260 hitter, hitting .190 and I've got guys who have hit for power in the past and they don't have an extra base hit." Before arriving at T.R. Hughes Park, Pinto termed the just-completed series a second tryout. He made it clear the improved performance saved several jobs. "I was sending a message I would have made changes, drastic ones," he said. "In all seriousness, I've had 50 leads sent to me by different scouts. "I was fully prepared to back up the bus and change half of this team out. "It was not an empty threat. It was very serious." That's not to say the roster will remain pat this week. "You'll see a couple changes," Pinto said. "There are a couple positions I've been focusing on. We need to get a DH in the middle of the order who really has some pop in his bat. "We're going to add one of those." The Miners started Interleague play with a bang on Wednsday night and were up 8-1 but Wash. closed the gap to 8-3 with 2 outs in the 9th, and eventually tied the game 8-8 after being down the whole game. My opinion is we could of scored some more runs if the 3rd base coach would of sent in a few runners that would of scored if sent. But we did pull out the win 9-8, The Miners play Thursday night against Wsh. for the 2nd of a 3 game set. Vince Mcmanhon is not dead! KSDK) - WWE wrestling personality Vince McMahon is not dead. Viewers across the country saw what appeared to be an explosion blowing up McMahon's limousine Monday night. The WWE then told the public on its website that firefighters were called and the FBI was investigating. None of that is true, according to the Wilkes Barre Times-Leader, the newspaper of record where the event was staged. The newspaper reports that firefighters were never called to the scene, and that the WWE actually got permits for the explosions from the city ahead of time. The explosion was actually recorded Sunday night, then shown as though it were live Monday night. To read the article debunking the WWE's publicity stunt, click here. The WWE continued to claim on its website Tuesday afternoon that McMahon was "presumed dead," and officials did not return calls of the Wilkes Barre Times-Leader. the Southern Illinois Miners defeated the Rascals tonight 11-6. The ball was jumping tonight off bats from both sides. Phil Laurent, Brad Hough and Trey Hendricks were credited with home runs for the Rascals. Hendricks did not actually hit a home run. It bounced once on the warning track and went over the wall for what should have been a ground rule double, but the umpires didn't see it and gave him a home run, much to the disbelief of all Miners players and most of the crowd. This is the second blown home run call of the series by the umpires.Fortunately, it did not impact the outcome of the game. The Miners had homers of their own from Jose Torres, Tim Dorn and Chris Hall. Hall's shot was a long opposite field job that probably went 375 feet. Pridgeon got the win in relief for Southern Illinois. Collin Walker took the loss. The Miners defeated the Rascals tonight 8-6. The game featured another long homer by Tim Dorn, signature horrible defense from River City, and a shouting match between the Rascals manager and Ralph Santana that spilled onto the field and caused both to be restrained by teammates. Chris Hall had four hits for the Miners. Travis Hope picked up the save and Chris Mcgraw got the win in relief. Phil Laurent continued his hot hitting for the Rascals and is the most complete hitter I have seen in the league so far this season. The two teams meet again tomorrow night. Ejection, Home runs and a bad home run call? The Miners won 9-4 .This game had everything... an ejection,horrible defense, a steal of home, an controversial home run call, a rocket outfield assist from Vega and an crazy opposite field homer from Tim Dorn. Gary Cahoon took the loss for the Rascals, Wooley got the win for the Miners. The miners took and early 3-0 lead behind homers by Chris Hall , an RBI single by Ralph Santana and a Sac Fly by Scanzano. Trey Hendricks scored to answer for the Rascals on a throwing error by Wooley. The Miners got two more runs on a solo shot by Tim Dorn and an RBI double by Santana. Dorn looked fooled on the pitch and was out on his front foot. It was all arm extension that powered the ball the other way over the big Budweiser sign. The Rascals answered with a run of their own as Phil Laurent scored on a sac fly from Anthony Albano. The game got insane in the ninth. Right fielder Tim Rowe made an error and Bobby Mosby missed a tag at first, allowing three runs to score. Kane hooked a long fly down the right field line off Walker that looked like it was fair.. it was so high it was over the foul pole, but I think it was fair and I had a pretty good look at it. The umpire called it foul, prompting the Miner's field staff argue vehemently. Kane threw his helmet while arguing and later struck out after a very long at bat. He yelled at umpire Joe Orf after the at bat, prompting an ejection. After being ejected, he still jawed for a few seconds with the ump until the Miner's manager shoved him into the dugout. Game two of the four game series is tomorrow night. Thank you Josh from myspace for this story! River City was no match for Southern IL tonight as the players responded to the coaches play or lose your job threat..Miners resume play tomm. night vs River City at 7:05p.m Go Miners!!! I can see the future, ok maybe not, but i'm 99% sure we're about to see 3-4 players hit the road..We need a stronger bullpen, and some hitting. While getting to know some of these players is great, this is a business and we have to treat it that way. 6 games under 500 is NOT working, chop it up Pinto, lets do it.. The miners are not a road team yet, we have beat Evansville everytime we played them at home, but are winless against them on the road. The final tonight was 8-4 leaving us (5-11) for the Season. We travel to river City next where River City just beat Gateway 7-3. Miners hopefully replacing some positions? MARION - The Southern Illinois Miners were sick of losing these close games, particularly at home. They were tired of finding ways to lose games, instead of making plays to win them.With one big swing and plenty of big pitches, some of those bad memories began to fade away. Southern Illinois Miners (4- 9) through 6/05 Not that bad of a start. Mike Pinto (Coach of the miners) done some good pitcher switching this evening as 4 pitchers combined for 1 er for the game..Way to go Mike. Miners Win 2-1 GOOOO Miners!!!!!!!!!!!!!!! Center Field 425 ft straight away 8th inning Home Run and some GREAT early pitching leads to Miners 4th win of the year!!!! Tim Dorn hit the monster blast that lifted the Miners to victory.